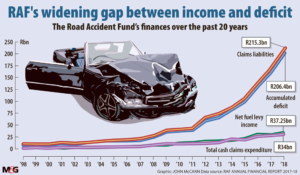 Despite universal opposition to the Road Accident Benefit Scheme – which has been labelled as controversial, criminal, obscene, abhorrent, unconstitutional and appalling – the South African government is pushing to get this monstrous scheme passed into law. This article is not for the faint hearted. 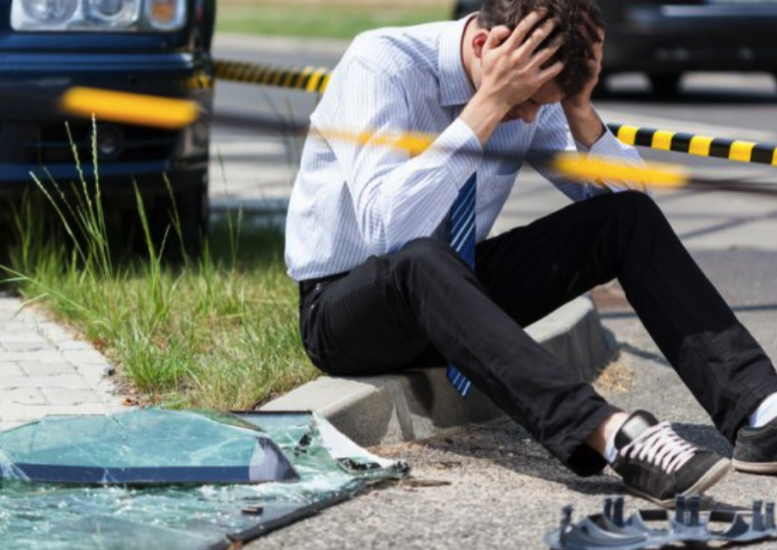 The Road Accident Benefit Scheme – which has been variously labelled as controversial, criminal, obscene, abhorrent, unconstitutional and appalling – has been reintroduced to Parliament. Because, of course it has. 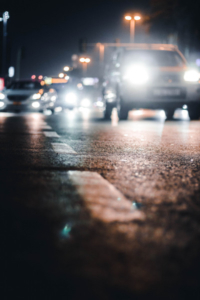 Despite near-universal opposition to the bill – that could see drunk drivers rewarded for causing accidents – the ANC government has forgone all logic and rational thinking in favour of forging ahead, regardless. Because, of course it has. The bill, previously put to vote before the National Assembly in December of last year, was postponed, pending an independent review, after opposition parties (IFP, DA, EFF, UDM, COPE, ACDP and FF+) staged a walk-out in protest, leaving the ANC as the bill’s only advocates. Opposition parties, advocacy groups and spokespersons for the legal profession all claimed that the bill was being used as a mechanism for the ANC to garner voter support ahead of the 2019 elections. Yet another political ploy. The RABS will pay medical and healthcare service providers directly. This means that, should you be injured, you no longer have a choice in which medical practitioners or caregivers you want to use. Under the current RAF, in severe cases you may have an attorney champion your cause for you. This right falls away under the RABS. You will have no right to legal representation. And of course, human rights will be blatantly violated as well; with child victims of road accidents no longer being able to launch any claims until they are 18 years old, no matter the severity of their injuries. No more lump sum payment settlements will be made to those who have experienced severe injuries or damages. The RABS will make monthly payments, with a maximum pay out of R44 000, annually. Consider the fact that you may lose a limb or the ability to work, and R44 000 makes for poor compensation. The RAF and RABS will have to run concurrently for at least twenty years, due to a huge backlog of unresolved claims, which could result in the fuel levy doubling. If the government wants two systems, guess who’s going to be paying for them? That’s right. The taxpayer. Under the proposed RABS, accidents will be treated on a no-fault basis. 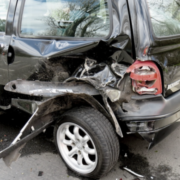 A no-fault scheme means that any drivers who can prove they have been in a motor vehicle accident will be able to submit a claim to RABS. What this means, essentially, is that all road accident victims will be able to receive benefits, even if you’re a drunken lunatic and the accident was your entire fault. Few bills have ever been so relentlessly horrific. This is despite universal opposition to its introduction in the National Assembly last year, when it could not be voted on at least twice due to a mass walk-out by every single opposition party, and further in light of the public outcry surrounding the moral obscenity of rewarding drunk and reckless drivers for their conduct. According to Haslam – and anybody else with a functioning brain, really – the RABS is simply unaffordable, and it’s a classic case of the government trying to squeeze blood from a stone. By its own admission, the Department of Transport acknowledges that the estimated 75% increase to the RAF fuel levy (needed to fund the new scheme) will only be the starting point, and additional taxes will have to be introduced to fund it, offering little in return. Haslam goes on to beg the question; how does the government plan on financing this monstrous scheme, when the tax-payer is already so grossly over-burdened? How indeed? As we ourselves recently reported, South Africans have just been laden with yet another shameless cash-grab of a tax – the Carbon Tax – as well as increases on the general fuel levy and the Road Accident Fund levy. With the Road Accident Benefit Scheme circling like a filthy, gluttonous vulture, road users and taxpayers will likely be beaten over the back with taxes and levies until they’re dead. The Eskom, SABC, SAA, PRASA horrorshow will pale in comparison. They’re coming for all of your money – all of it – and they’re no longer afraid to run roughshod over your constitutional rights to accomplish it. 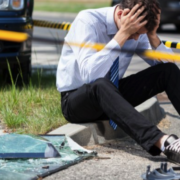 South Africa has one of the highest road-fatality rates in the world – ranking 38th globally – and the proposal of a no-fault based system being introduced here is criminally insane. 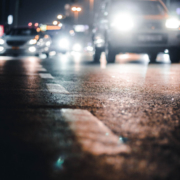 There are numerous examples of where no-fault systems have been introduced and have failed – including in first world countries with significantly lower road death tolls – with those countries reverting to a fault-based system. The RABS proponents will, in all likelihood, seek to pass the bill in the next week. 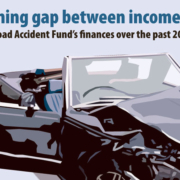 Part of the reason why the RAF levy is consistently raised, year after year, is due to the fact that there are so many uninsured drivers behind the wheel in South Africa. Their vehicles aren’t covered, and neither are they for medical or consequent damages. This leads to more and more RAF claims, which the government will avoid paying at all costs, and in turn, leads to consecutive hikes in the levy. With the RABS darkening our doorstep, though, submitting any claims without the help of specialised firms, such as DSC Attorneys, could soon become next to impossible. 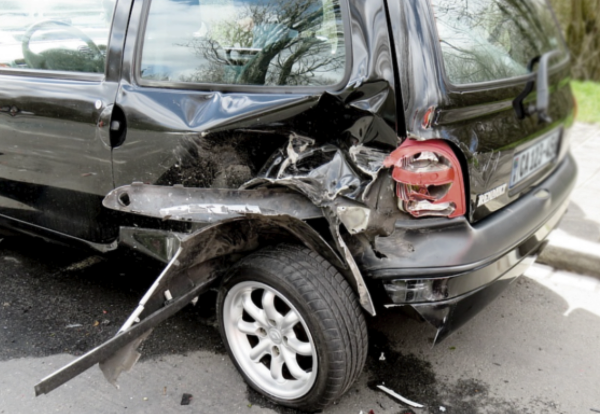 A ‘B’ version of the Road Accident Benefit Scheme Bill was reinstated on Tuesday and is now back on the National Assembly order paper for a second reading debate – probably next week, reports Pam Saxby for Legalbrief. It featured in a long list of items identified by ANC Chief Whip Jackson Mthembu for ‘revival’, not having been considered during the last sitting of the House for 2018. Because amendments to the Bill tabled by the DA’s Chris Hunsinger were ‘negatived’ at the sitting, opposition parties walked out – rendering the House inquorate and unable to vote on its second reading. The Bill lapsed as a result. The DA has since approached the courts to challenge a decision to exclude the ‘dissenting views’ of opposition parties from a National Assembly Transport Committee report on the Bill. Describing the ‘attitude’ of ANC members of the committee as ‘roughshod’, a media statement announcing the move last week quoted National Assembly Rules 166 and 288 – which the DA’s Manny de Freitas believes are ‘unambiguous’ on the matter. In his Budget speech on Wednesday, Minister Tito Mboweni called on Parliament to complete its work on this controversial piece of proposed new legislation as a matter of urgency. In the Minister’s view, once in force it will ‘help stabilise fuel prices’. He made this remark in the context of an increase of 5c/l in the Road Accident Fund levy from 1 April, conceding that this is nevertheless ‘not enough to match the fund’s R215bn liability’. Last August, National Treasury chief director for urban development and infrastructure, Ulrike Britton, told committee members that the three separate accounts introduced in the Bill (benefit, transition and operations) are expected to create sufficient ‘flexibility’ for government to ‘manage’ any funding ‘uncertainties’ that may arise. While the fuel levy ‘is ‘not a buoyant revenue stream’ and is likely to become even less so given ongoing technological developments, at the time Britton considered it the most ‘appropriate’ source of funding in the ‘medium term’. Government has yet to seriously consider ‘alternative’ tax measures for ensuring that, ‘longer term’, ‘all road users’ contribute towards financing the new scheme. Hunsinger’s proposals were included in an order paper for the National Assembly’s 6 December sitting. Summarising them in last week’s statement announcing the DA’s decision to take the matter to court, De Freitas said that, ‘in its minority report’, his party ‘objected to … (a) motion of desirability pertaining to the inclusion of no fault and the exclusion of the use of common law within the … Bill’. This is noting that, ‘if passed, the Bill will permit anyone to claim after (an) accident even if it is that party’s fault’. In the DA’s view, the Bill ‘also circumvents legal processes that are constitutionally available’. The Democratic Alliance has approached the courts Yesterday to fight the ANC’s roughshod attitude towards opposition parties. 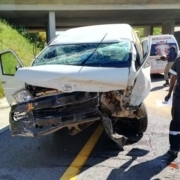 During the preparation of the Transport Portfolio Committee report on the Road Accident Benefit Scheme (RABS) Bill, opposition parties requested that their dissenting views on this bill be recorded. The DA tabled a minority report at 8 November 2018 Portfolio Committee Meeting. According to the rules of Parliament, (National Assembly rule 166 and 288) opposition parties may table minority reports in such instances. Despite these unambiguous rules which permits minority views to be tabled officially, the ANC refused a minority report. Instead, it chose to include their own interpretation of a minority report. The DA has therefore approached the court to fight for the right of all opposition parties. In its minority report, the DA objected to the Motion of Desirability pertaining to the inclusion of no fault and the exclusion of the use of common law within the RABS Bill. If passed, the RABS bill will permit anyone to claim after accidents even if it is that party’s fault. The bill also circumvents legal processes that are constitutionally available. This is simply a violation of the rules and an abuse of power. This case will strengthen parliamentary participatory democracy and the right of all parties in parliament to be heard. This will ensure that the ANC’s such strong-arm tactics do not reoccur in future. Common sense tells you, instinctively, that someone who causes a negative outcome because of his or her reckless action should be held accountable. This country can surprise even the most cynical with the level of absurdity it can produce … and the Road Accident Benefits Scheme Bill is another good example of that. 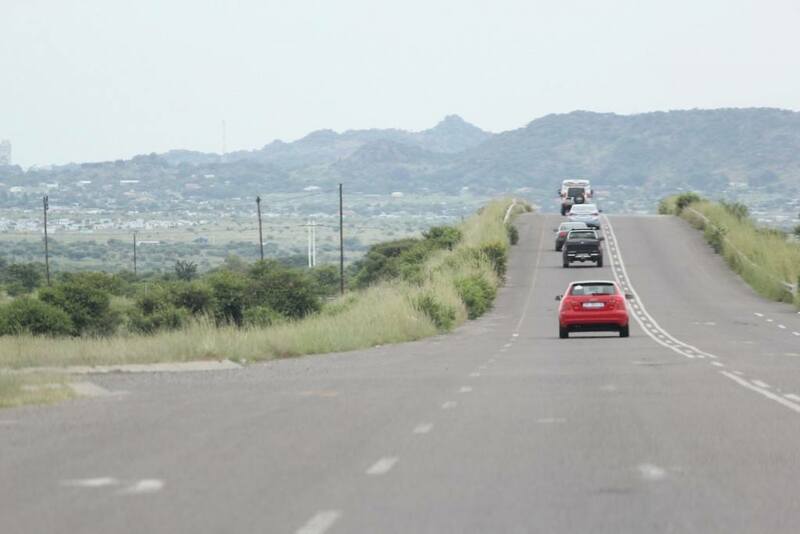 The proposed legislation, which is before parliament and which will replace the current Road Accident Fund (RAF), introduces a radical “no fault” system for compensating road crash victims. 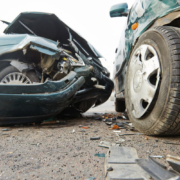 This overturns the current process, which pays out those who have been seriously injured in accidents they were not fully responsible for causing. In future, drunken and reckless drivers who are responsible for crashes in which there are serious injuries and in which they are also hurt, will be entitled to compensation. As a consequence, says lawyer Kirstie Haslam, there will be less money available to pay out the innocent victims of criminal actions by other road users. That is not fair for someone whose life may have been dramatically changed by a drunk or reckless driver. This new law will remove one of the societal punishments meted out to those reckless and drunken motorists who cause accidents – and says they won’t pay for their own injuries. That goes against common sense – which tells you, instinctively, that someone who causes a negative outcome because of his or her reckless action should be held accountable. It is also the opposite view of the insurance industry, which won’t honour policies where recklessness is proven. 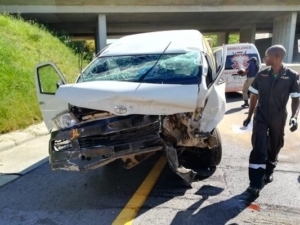 The RAF’s Phumelela Dhlomo seemed unperturbed by the radically altered road accident playing field, saying that drunken and reckless drivers could still be prosecuted. This also comes as recklessness and drunken driving have, yet again, been identified as the main killers on SA roads by Minister of Transport Blade Nzimande. The minister needs to seriously consider whether lessening the overall pain of these offences is going to help change road behaviour. 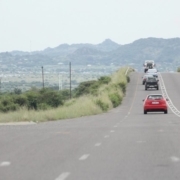 The decision on whether the Road Accident Benefit Scheme (RABS) will replace the Road Accident Fund (RAF) in 2019 has been pushed to next year, after the National Assembly put the bill to a vote on Tuesday. The initial vote on whether a report on the proposal should be debated was successful, where it scored 174 yes votes and 84 no’s, with seven abstentions. 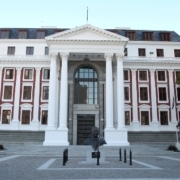 DA chief whip John Steenhuisen said that by excluding the “minority report” delivered by his party in May, which strongly criticised the bill, the house had acted unconstitutionally, and said that the house was ill-advised by the portfolio committee. But in a stunning turnaround, the IFP, DA, EFF, UDM, COPE, ACDP and FF+ all rejected the bill after it was debated in the house, with the ANC its only proponents. Steenhuisen said that “irreparable harm” had been done by the matter having appeared in the house without his party being properly consulted, before verbal abuse was hurled between the opposition parties. EFF members were asked to leave after the deputy speaker, Lechesa Tsenoli, took exception to comments made against him. 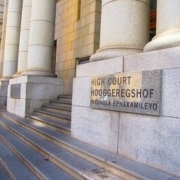 While opposition parties, advocacy groups and spokespersons for the legal profession claim that the highly scrutinised bill was merely a mechanism for the ANC to garner voter support ahead of the 2019 elections, their last-gasp motion to slam the brakes on the bill and have it returned to the portfolio committee for transport was rejected by the speaker. 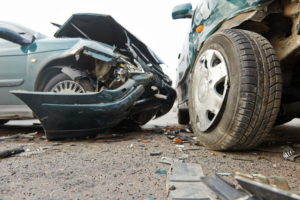 “The ANC constantly stuck to ignoring the constitution, misleading the public, prejudicing the poor and putting party politics before the best interest of the people of SA,” said Pieter de Bruyn, chair of the Association for the Protection of Road Accident Victims. The ANC believes that by cutting out access to common law and insisting that all claims be made directly through the RABS, that it will stop legal professionals from exacting unnecessary funds from settlements and prolonging claims processes. Transport minister Blade Nzimande said that RABS would be “reasonable, equitable and affordable”. 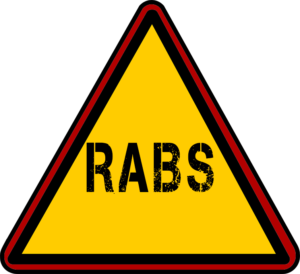 “RABS will replace the fault-based system, which often results in extended and costly administration,” he said. “Today we are closing the tap,” he had said before the rejection of the bill. De Bruyn, as well as various opposition parties, have vehemently insisted that the bill was constitutionally unsuitable, specifically citing its restrictions of claims by minors and the elderly. It is also proposed that RABS and the RAF would have to run concurrently for at least two decades, which would require at least a doubling of the fuel levy, according to an independent audit of the bill by True South actuaries. Regarding this fuel hike, actuary Gregory Whitaker said that South Africans could expect to see prices go up by at least R1.44 as a result of this simultaneous funding initiative. “If the government wants two systems, we’re going to have to pay for them,” he said. While Nzimande said that it was not true that the ANC was “working with inaccurate actuarial facts”, Whitaker said that based on a second report — which was published based on new information gathered since the audit, including the cost of fuel levies —there was a great deal of uncertainty around the costing of the proposed system. He said that RABS, which supposedly seeks to reduce the financial burden of RAF, could ultimately be more expensive, owing to the fact that administrator, funeral and an increase to minimum national income have not been costed. “If cost is the only issue that they’re concerned with, then I’m very worried,” he said. The ANC’s efforts to have the matter added to Wednesday’s agenda were ultimately futile, and it was struck from the roll before parliament opened.